Provide ELLs with quality instructional practices and resources, including fair assessments, free use of dictionaries and thesauruses, extra time, and the option of multiple media. 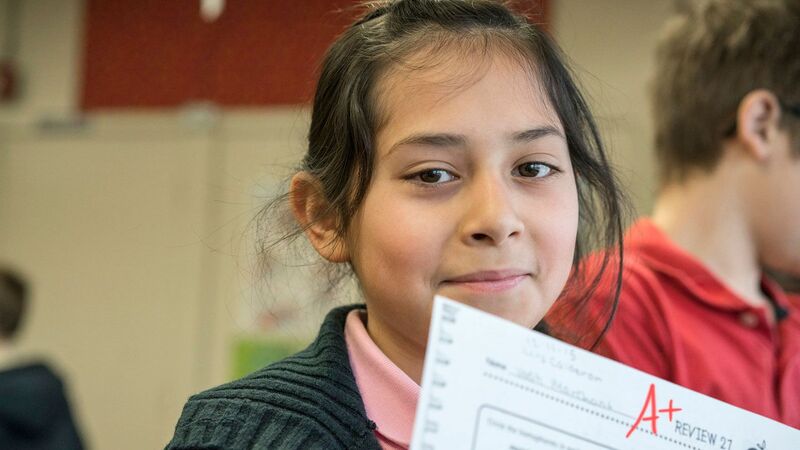 To understand English-language learners' need for equitable education, we must first look at the dramatic increase in the numbers of ELLs in U.S. public schools. Between 1997-1998 and 2008-2009, the number of ELLs in public schools increased by 51%. However, the general student population only grew by 7% (Center for American Progress). ELLs are the fastest-growing student population with approximately six million currently enrolled in public schools (TESOL International Association). Consequently, equitable practices both in and out of the classroom must be implemented to ensure that English-language learners get a fair opportunity not only at learning, but also at excelling in learning. With all of the standards and testing that teachers have to conduct in the classroom, it's important that we ensure a fair assessment for ELLs. When we assess this population, we must remember to separate language skills from content skills. Some of these language skills include vocabulary, comprehension, phonology, grammar (syntax), and meaning (semantics). Content assessment focuses on whether or not the student was able to grasp the subject matter. Duverger (2005) suggests that "another way of disentangling the effects of language proficiency on content proficiency is to have a double scale of criteria: criteria relating to the content being delivered and criteria relating to the language being used." This is a helpful strategy as it allows the teacher to create some sort of scale or rubric to easily identify the language skills during and after assessment. To many ELLs, the learning opportunity that they receive is different than their native-speaker counterparts. Research suggests that effective English-language learning classrooms foster a strong environment of collaboration, dialogue, and group engagement. It's important that students have multiple opportunities throughout the day to engage in conversational-style learning with their peers so that they can practice their oral language skills. Working collaboratively also fosters a culture of community in the classroom. Students are not challenged enough in the classroom when it comes to engaging critically through oral or written work (Callahan, 2003; 2005). When students are placed in an English-only classroom, it's harder for them to grasp content and catch up to their peers. ELLs are often overrepresented in special education classes due to a lack of training in helping teachers identify students' needs and assessment when it comes language skills. "This error comes as a result of the shortage of special educators who are trained to understand issues of bilingualism and second-language development," Ortiz suggests in English language learners with special needs: Effective instructional strategies. To provide the best instructional practices for ELLs, a teacher must be willing to accommodate their learning needs and provide them with equitable learning opportunities. Resources become a huge aspect in teaching ELLs. Teachers can leverage available resources to help fill in gaps in language. Visit Edutopia's English-Language Learners topic page for more articles about and strategies for leveraging open resources and useful technology in your classroom. Allow students to use a dictionary and/or thesaurus. This can help them a great deal in understanding instructions and content to help them answer questions on a test, quiz, or any other form of assessment. ELLs often need extra time to decipher and understand the meaning of an assessment's content. They also need extra time to formulate their thoughts and ideas into sentences and paragraphs. Provide an alternate method of teaching and learning. Whenever possible, provide information, instructions, and content through an alternative method, such as visual or audio. This allows ELLs to connect with the content not just through words but also through other senses. Encourage the use of other methods as well if they're creating the content. For example, multimedia can help them tell a story or write a response. It's totally fine if students need to write in their first language and then translate into English. By permitting students to do this, you not only ensure them an equitable opportunity at learning, but you also help them catch up to their peers in learning the content and material without leaving them behind. Teaching ELLs requires a lot of accommodation, understanding, and empathizing on the teacher’s part. The students will benefit from an equitable learning environment among their peers, and that can help them to excel not only in learning the language faster, but also in learning the material. Remember, by providing an equitable learning opportunity for ELLs, you are helping to create a safe classroom culture that respects and honors all students and their autonomy. How does your school create equity for English-language learners? Please share your thoughts below in the comments.